Facebook has been trying to get India to fall in love with its Free Basics service for several months since it launched in February. 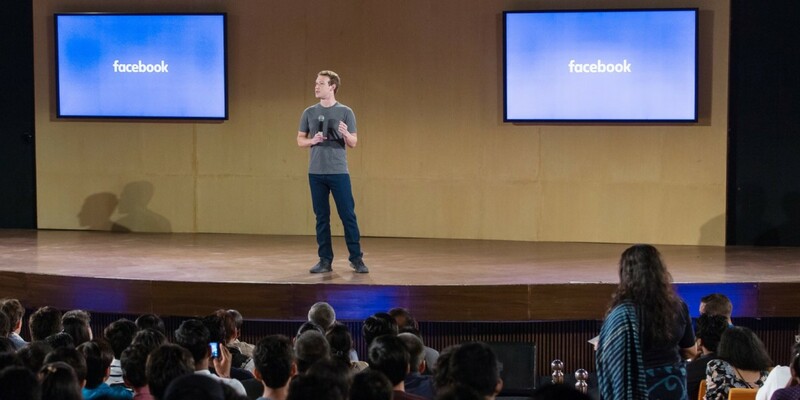 CEO Mark Zuckerberg even visited the capital of New Delhi last week and attempted to address concerns about it during a Townhall Q&A session. But he still doesn’t get why Indians are opposed to the social network’s zero-rating service. More than 330,000 people signed a petition to oppose zero-rating and uphold net neutrality principles in the country and numerous Web and media companies dropped off Facebook’s offering in support of the initiative. Zuckerberg still thinks that Free Basics will serve India well, and believes that campaigns against it don’t factor in the benefits it brings to those who are still offline. The trouble with Free Basics is that it’s not completely open — Facebook decides allows publishers and developers to submit their services and content to the platform, but reserves the right to reject them. That’s not what the internet is about. With Facebook acting as gatekeeper, the company retains the ability to block services and content that compete with it. As volunteer collective SaveTheInternet.in notes, Zuckerberg has suggested that universal access is more important than net neutrality, and there is a possibility of taking these principles “too far”. However, that makes sense only if there are no alternatives to offering a zero-rating service. The simplest one is to offer data in exchange for viewing ads. The Mozilla Foundation already runs a similar program in Bangladesh. India is constantly adding more internet subscribers — IAMAI reported that 52 million got online in just the first half of 2015. But Free Basics will divide people into those who access the open Web, and those who access Facebook and the services it approves of. Data for all the websites on Internet.org will be with Facebook, and restrictions are placed on them publicly disclosing usage of their sites and services by users on Internet.org. Apart from the fact that no open platform places such restrictions, this data and the learnings gained from it gives a competitive advantage to Facebook, because of the competitive advantage given to Internet.org by its telecom operator partners. Free Basics hurts Facebook’s competition and hampers innovation. Either Zuckerberg doesn’t understand this, or this was his vision all along. Whichever way you slice it, it’s not good for India.